This week, we’re focusing on the novel The Bell Jar, a classic work by Sylvia Plath, detailing the sharp downward spiral of a brilliant young woman. This is an iconic piece of feminist literature, from an artist who departed far before her time. 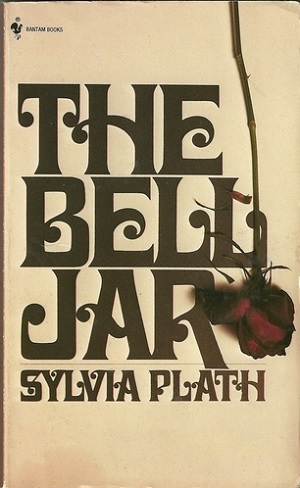 The Bell Jar, by Sylvia Plath, was originally published in England in 1963, under the pseudonym “Victoria Lucas.” This was done to hide the fact that such a cutting and oftentimes sarcastic portrayal of mental illness and repressed sexuality was, in fact, widely autobiographical, and to prevent entanglement with Plath’s tumultuous family life. The novel, which details a young, accomplished nineteen-year-old’s descent into mental illness, has been lauded as a significant feminist work and vital representation of the inner workings of a troubled teen mind. As mentioned above, the work included many ties to events from Sylvia’s own life, sometimes referenced ironically in text. At the time of the book’s publication, Sylvia was married to illustrious British poet and author Ted Hughes. Her eventual suicide – which occurred about a month after the British publication of the book – was largely chalked up to their separation, by fans and historians alike. Her many unpublished journals and poems, as well as the future of the novel, fell to him. The book was finally published with her name on it in 1967, but not at all in the United States until 1971. Throughout its publication, The Bell Jar attracted many mixed reviews, and has often been likened to a female equivalent of The Catcher in the Rye. The novel was adapted into a film once, in 1979; however, it proved widely unpopular with critics and audiences alike. While there is a new film adaptation in the making – starring Julia Stiles and Rose McGowan – it is still classified as “in development”. Many hope its long gestation period will result in a better formed, and truer representation of such a classic work. 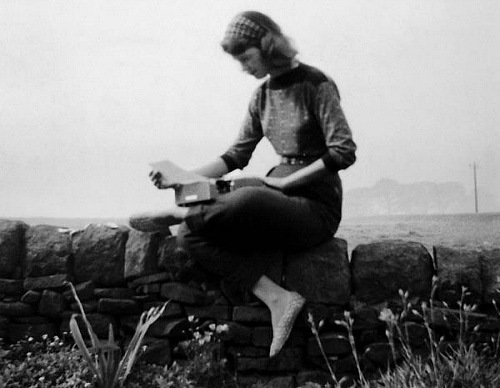 In real life, Sylvia Plath was highly involved with fashion, and The Bell Jar reflected some of this, as well. The beginnings of the book take place as Esther Greenwood – the main character, and stand-in for Plath herself – takes a fashion internship at a major magazine in Manhattan, like Plath herself did during her time in college. By integrating key aspects of the imagery within The Bell Jar into your everyday outfits, you can draw reference to the iconic novel’s engaging visuals and strength of voice – often sarcastic and witty – without getting too entrapped in the darker legacy of Plath’s writing. Product Information: Over-sized Cardigan – Mango, Lace Crop Top – Topshop, Skater Skirt – Topshop, Over-sized Sunglasses – River Island, Statement Earrings – Asos, Mini Bag – Target, Platform Sandals – Ruche. Throughout the novel, one of the most important recurring elements in Esther Greenwood’s narrative is the inclusion of exaggerated and inappropriate sizing, such as a never-ending sidewalk, or the giant hands or multiple eyes of the nurses within her psychiatric ward. This is one of the hallmarks of Plath’s expert description of a mental breakdown, classified by psychoanalysts years later as schizophrenic perception. These descriptions are invaluable in conveying the confused mentality of Esther to a widely unaffected audience. Reference this in your own look, by deliberately choosing pieces that utilize the same exaggeration of size. An oversized cardigan, oversized sunglasses, statement earrings, and high platform heels all reflect an emphasis on extreme height and length, while a crop top, mini skirt, and a mini bag all do the opposite, by way of the shrunken and small. Product Information: Lattice Cut Dress – Charlotte Russe, Shoulder Cutout Shirt – Forever 21, Perforated Sweater – River Island, Cutout Sandals – Forever 21, Cutout Wedges – DSW, Floral Cutout Sunglasses – Kohls, Triangle Cutout Cuff – Forever 21. The Bell Jar is also full of lapses in the narrative. Whether it is in consciousness or judgement, on the part of Esther, or simply in the flow of the work (to build suspense), these gaps are deliberately utilized to draw the reader deeper into Esther’s harrowing tale. This technique helped Sylvia create a heightened sense of confusion, mystery, and scandal… even Plath herself called the novel a “pot-boiler,” and that was no doubt influenced by these unique gaps in narrative. Reference this plot device and character trait within your own look, by way of the cutout trend. Accessories, like the floral cutout sunglasses, the ankle cutout wedges, line cutout sandals, and triangle cuff, are all minor ways to incorporate the idea into your daily outfits; however, larger-scale cutouts, like those in the lattice-cut dress, shoulder cutout shirt, and perforated sweater, pay homage to the novel’s sense of scandal and suspense in a more emphasized way. Product Information: Holographic Clutch – Zappos, Holographic Nail Polish – Julep, Mirror Image Tee – Topshop, Mirror Image Skirt – Nasty Gal, Mirror Image Skull Sweater – Charlotte Russe, Glitter Top Coat – Ulta, Mirror Chandelier Earrings – Miss Selfridge, Reflective Clutch – DSW. In The Bell Jar, Esther is frequently confronted by her own visage, whether reflected in a compact or mirror, the shining surface of an elevator door, or even within the glossy pages of the magazine. Despite the fact that she is described as a beautiful girl – and Plath herself was also very attractive – Esther never describes herself in flattering terms, and has a very low self esteem. 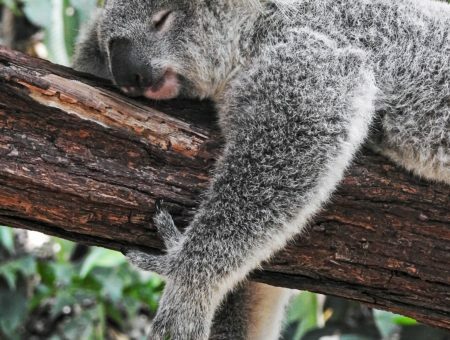 These brief expressions of plummeting self worth, and even violent action, like breaking a mirror, integrate reflection and self-reflection as closely tied elements within the novel. Integrate this aspect of the book’s imagery into your own look by incorporating various elements of mirrors into your wardrobe pieces and accessories. Reference the holograph trend with this holographic clutch and nail polish. Or try on symmetrical mirror prints, like this leopard crop top, skull print sweater, or symmetrical geometric skirt. You can even reference mirrors more directly, with the complete integration of reflective surfaces, like a high-shine clutch, some mirror-pieced statement earrings, or a glitter flake nail polish. Have you ever read The Bell Jar? Have you ever had it assigned for an English, Women’s Studies, or Psychology class? What did you think of the novel, and the elements at play? What is your opinion of the novel’s legacy as a feminist critique, or depiction of a descent into madness? What did you think about the outfits and styling tips? Are there any books you would like to see me do next? Let me know, in the comments below!